Hidden down a Melbourne laneway, the stunning old Mietta's building has been revamped to house Comme and its artfully presented dishes. Comme's menu showcases French fare with contemporary twists. 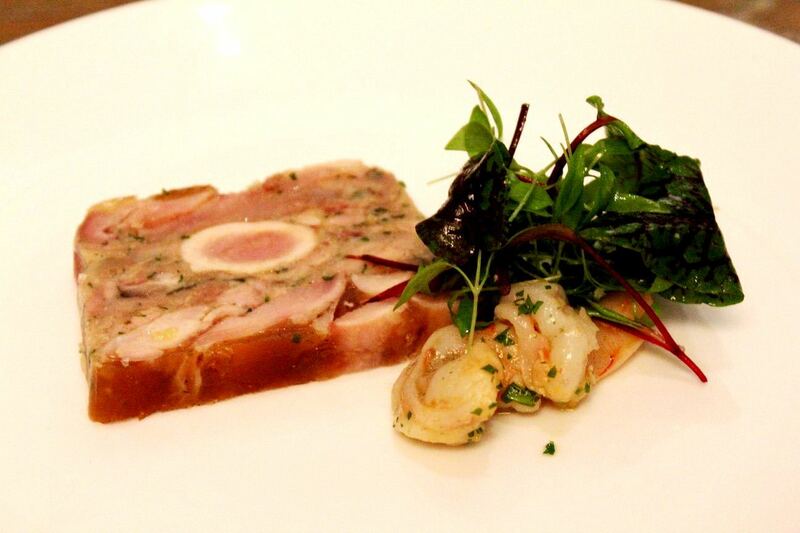 Head chef Daniel Southern dishes out a mouthwatering pressed Gippsland rabbit with Crystal Bay prawns and young herbs, served with the 2011 Brown Brothers 'Ltd Release' Prosecco, King Valley for Look.Stop.Taste Food Festival at AUD15. Daniel is well known for his 'modern french bistro food' where he combines his classical training with more contemporary methods. Previously heading Bistro Guillaume, Daniel's focus at Comme is to consolidate its position as one of Melbourne's best French bistros while revitalizing and elevating the food and beverage experience across all areas of the business. His dish is available Mon–Fri, 3–6pm and Sat 4–6pm. Why? Comme dishes out a mouthwatering pressed Gippsland rabbit with Crystal Bay prawns and young herbs accompanied by a 2011 Brown Brothers 'Ltd Release' Prosecco for Look.Stop.Taste.